The Alan J. Smith Professionals for Re/Max are here to help you find a Lakewood home for you and your family. Lakewood is a great area for those wanting to explore activities such as camping, golfing, or hiking. Lakewood is located just west of Denver and is part of the Denver-Aurora- Lakewood statistical area. 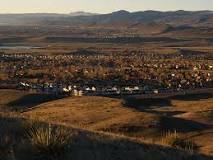 The City of Lakewood is the most populous community in Jefferson County, and the fifth most populous in the State of Colorado, boasting single family homes as well as condos and townhomes. Luxury custom homes, as well as starter housing can be found as well, with everything in between. We can find the perfect Lakewood, CO real estate to suit your needs. The school system is located in Jefferson County caters to all grades, as well as International Baccalaureate programs and the Colorado Christian University. With a diverse economy, the largest employer in the city is the government. Lakewood is west of Denver and became a community in 1889 by Charles Welch and incorporated in 1969. Named an All-America City in 2011 with an elevation of 5,518 feet, Lakewood lies on the western edge of the Great Plains just east of the Front Range of the Southern Rocky Mountains, with the Green Mountain mesa its highest point at 6,854 feet. Some great features of Lakewood, besides Green Mountain are the Soda Lakes, Bear Creek Lake and numerous shopping and residential areas.